How did we get here? Tracing the warnings from four American film classics about self-involved demagogues and their relations to the current GOP nominee for President. 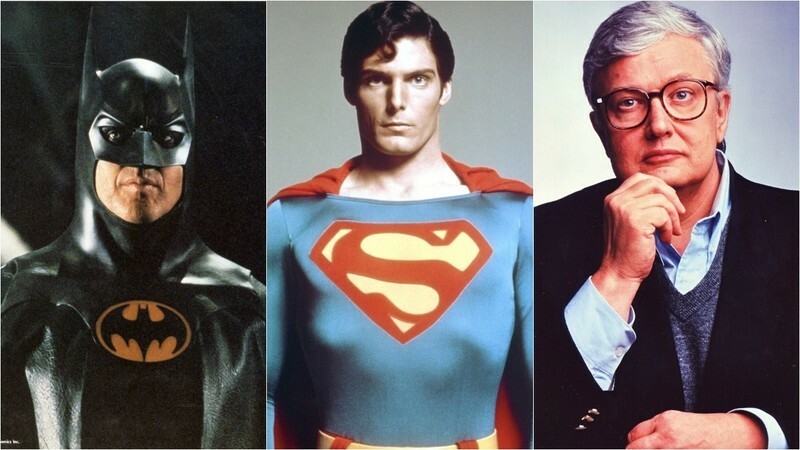 A collection of Roger Ebert's Batman and Superman movie reviews. I saw my final film of Sundance 2010 here in Chicago. It was my best Sundance experience, and I want to tell you why. The film was "Jack Goes Boating," the directorial debut of Philip Seymour Hoffman. It played here in the Music Box, as part of the "Sundance USA" outreach program, which has enlisted eight art theaters around the country to play Sundance entries while the festival is still underway. The Music Box is the largest surviving first run movie palace in Chicago. It is deeper than it is wide, and has an arching ceiling where illusory clouds float and stars twinkle. Many shows are preceded by music on the organ. View image Denzel Washington in "American Gangster" (2007). Richard Corliss at Time presents his choices for "The 25 Most Important Films on Race. "The films span nine decades, and reveal a legacy that was tragic before it was triumphant." More about the list after the jump, but the following passage from RC's intro struck a chord with me: We need to examine the history of blacks in film to appreciate their deep roots. [Sidney] Poitier, [Will] Smith and Denzel Washington, all radiating a manly cine-magnetism, are the sons of Paul Robeson, who was the first great black movie star — or would have been, if Hollywood and America hadn't been steeped in racism. Richard Pryor and Eddie Murphy, the top comedy stars of the 80s, have a strange, subversive ancestor in Stepin Fetchit, America's first black millionaire actor.Both Corliss and Odie Henderson (aka Odienator) take personal approaches to examining black film history, and so far (Odie is on his 11th consecutive day of a month-long "Black History Mumf" series) they haven't even overlapped much. Odienator has written, analytically and often nostalgically, about the Hudlin Bros.' Kid 'n' Play comedy "House Party" (1990), "football players-turned-actors, "Schoolhouse Rock," actress Diana Sands," Eddie Murphy's "Coming to America" (1988), Joseph Mankiewicz's "No Way Out," (1950) with Sidney Poitier and Richard Widmark, the opening credits of Spike Lee's "Crooklyn" (1994), "Sparkle" (1976), "The Jeffersons" and "Good Times" and the one with my favorite headline: One Drop of Black Cinema: Joel Schumacher. That's just the beginning. 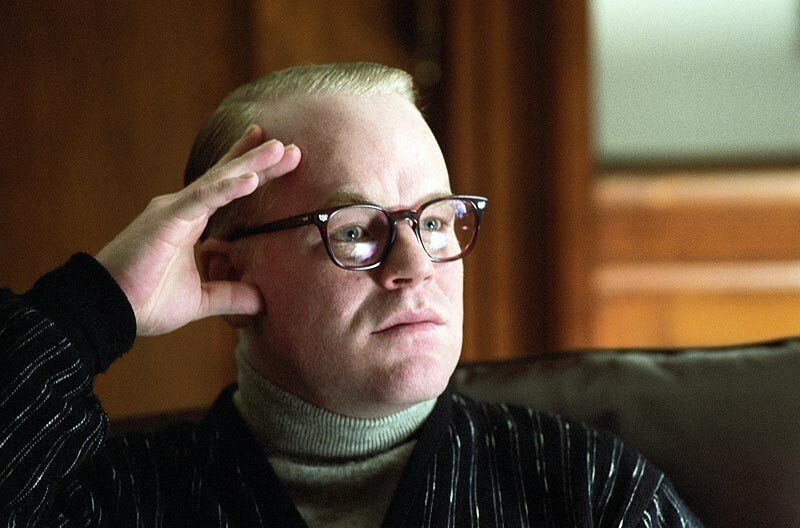 "I don't think Capote knew exactly what he was setting himself up for," Philip Seymour Hoffman said. "He said later if he'd known what was going to happen, he would have driven right through the town like a bat out of hell." TORONTO -- Spike Lee's new film was shot on digital video. Joel Schumacher's new film was shot on 16mm. The formats probably made the films possible. Video is not film and 16mm is not 35mm, but the artistic imagination is the same, and the lower-priced formats allow spontaneity and speed that you can't get when you're dragging a 35mm camera and all of its lights and acolytes everywhere you go. TORONTO -- Joel Schumacher is not exactly singing "Amazing Grace," but from the way he talks, he once was lost and now he's found, was blind but now he sees.